There’s a pattern on the fountain outside the Maze Bank building that, according to some, looks like the crack on the egg pictured in the mural. But UFO hunter Huge_Dabsthinks there’s more to it than that. I wouldn’t say they were identical, but it’s an interesting—if far-fetched—idea. Would Rockstar really be this cryptic? If so, that might explain why it’s taken so long for the mystery to be solved. So, naturally, someone decided to run the audio through a spectrograph analyser. “This horn matches the alien language seen written in the alien camp.” saysDidSomebodySayFIB, referring to a chain of symbols found here. 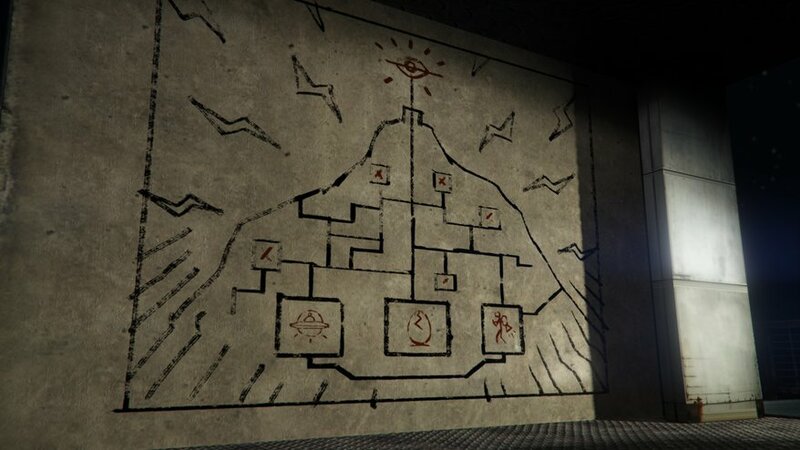 If you want to join the quest to solve this puzzle (if there even is one) you can download a 100% GTA V save file here. And if you find anything, don’t forget to post the results onr/chiliadmystery—but read the FAQ first. 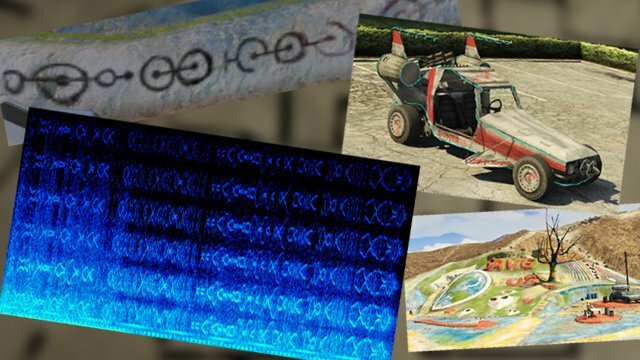 Are Governments hiding Extraterrestrial Contact?